The MOFW continues its quest for quality in all of the items it provides for our Companions and at the lowest possible cost. However, our vender’s prices will continue to rise and, if we plan to keep our current inventory, these cost increases must be passed on to you. Please be advised that we evaluate each vender increase and determine the most reasonable cost to pass on to you, our customer. In addition, from time to time we discontinue slow moving and/or “no longer wanted” items in order to provide you what you want and when you want it. So please check the QUARTERMASTER’S STORE often to keep current on prices and what is on the supply room shelves. By the way, if you have an idea for an item that would “advertise” and support the purposes of the Order, send the idea along to me for evaluation and consideration. The Order wants to stay up to speed with the desires of its Companions if at all possible. And last, but not least, the Order has a “no questions asked” return policy. If you are not happy with the MOFW item you purchased, return it for a replacement or a full refund. Wear your MOFW Insignia, badges, ties, hats, shirts, and pins proudly and often! New Quartermaster Order Form – Download Now! 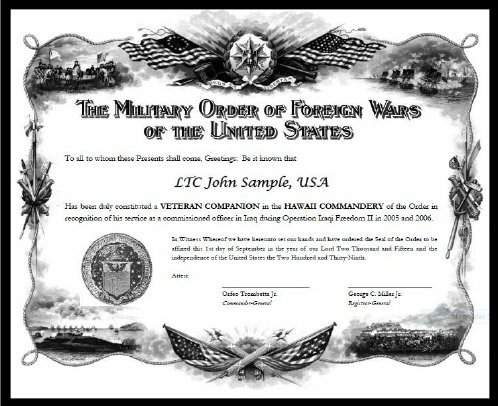 Since World War II, the Armed Forces have been involved in numerous military operations, beginning with the Korean War and extending up the war against Iraq. 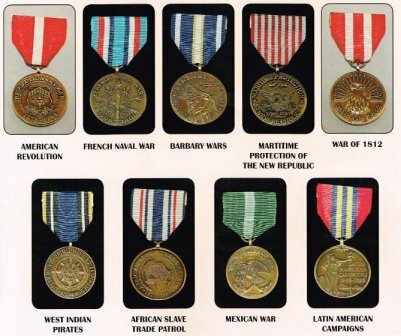 Although a variety of campaign and service medals have been authorized for these wars and operations, the Defense Department has not established an honorable service emblem for discharged veterans. The Honorable Service Medal was created to fill this void. 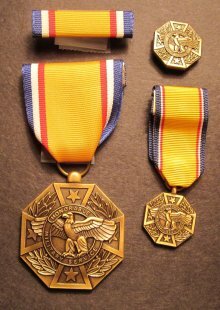 This medal is not issued or authorized by the Federal Government, nor can it be worn on the active duty uniform. 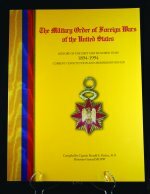 However, it has been adopted by the Military Order of Foreign Wars and is offered as a purely civilian device to commemorate honorable military service.